The surge of migrant children attempting to cross the Mexico-U.S. border this year has brought attention to immigration issues nationwide. Five states have passed laws and administrative rules in 2014 to guide Notaries dealing with immigration-related notarizations and stop criminals from misusing the title “Notary Public” to defraud immigrants seeking legal assistance. Because Notaries in many other countries provide different services than their counterparts in the United States, immigrants often mistakenly believe U.S. Notaries can assist them with immigration issues. Dishonest individuals take advantage of this misunderstanding by advertising using the title “notario” or “notario publico” to defraud immigrants, charging them large sums of money for ineffective or fraudulent legal services. NE Administrative Rule (2014), which took effect May 28, states that any Notary who engages in unauthorized practice of law or misuses the term “notario publico” or any non-English equivalent to misrepresent the Notary’s authority may have their commission permanently revoked by the Secretary of State with no possibility of reinstatement. Assembly Bill 74, which took effect March 1, enacts detailed rules for the oversight and conduct of nonattorneys who offer document preparation services. Persons offering such services must register with the Secretary of State’s office and file a $50,000 surety bond; may not offer unauthorized legal advice or legal services and are prohibited from advertising using the terms “Notary,” “Notary Public,” “legal aid” or other terms that incorrectly imply the registrant offering the service is an attorney or offers services at no cost if the registrant does not do so. Senate Bill 356, which took effect June 2, was a major revision of state Notary laws. 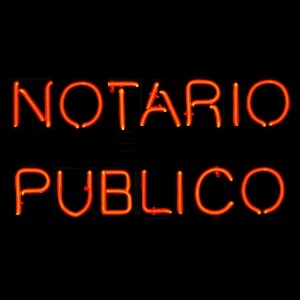 It prohibits Notaries from using the term “notario publico” or any equivalent non-English term in business cards, advertisements, notices or signs. The law also requires nonattorney Notaries who advertise in languages other than English to include disclaimers in English and any other language used that the Notary is not an attorney and may not give legal advice or accept fees for legal advice. 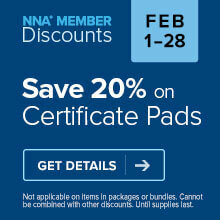 The disclaimer must also include the statutory fee schedule for South Carolina Notaries. House Bill 492 and Senate Bill 503, which took effect July 1, prohibit Notaries from offering or providing legal advice on immigration matters or representing any person in immigration proceedings, unless the Notary is licensed to practice law in Virginia, accredited to practice immigration law or accredited to represent persons in immigration proceedings. The new law also prohibits nonattorney Notaries from advertising using foreign-language titles that indicate the Notary is authorized to practice law or give legal advice. Persons who violate the new law may be fined $500 for the first offense, $1,000 for each subsequent offense and have their Notary commission revoked. Additional information on other state laws affecting Notaries and immigration-related services is available through the NNA’s searchable Law Updates online database. QUESTION: In California, can we still use a "Matricula Consular" as proper and valid I.D.? Hello, 'Matricula Consular' cards are not acceptable in California as proof of a signer's identity for notarization. Thanks and have a good day. I find it interesting that the 4 states that have passed these laws do not have a common border with Mexico, where most of the migration is coming from. QUESTION : In Ohio ,can we use a Matricula Consular or a Credencial de elector as a proper and valid i.d ? Hello Nancy, There is nothing in Ohio Notary rules prohibiting you from accepting a Matricula Consular card as identification for a signer. However, the FBI has raised concerns in the past regarding the security of the issuance process for Matricula Consular cards. Because of these concerns, if your signer has an alternate, more reliable form of identification-for example, a driver's license or passport issued in their home country-we would recommend using that ID instead to identify the signer instead of a Matricula Consular card. I have seen any new rules for Texas. I haven't seen any?